The easiest way to get to Foxfire Mountain from Pigeon Forge is to go to Stoplight #8 Dollywood Lane. Stay in the right lane and turn right at the first stop light to stay on Dollywood Lane, You will travel for 4.5 miles. When you get to the end of the road, our billboard will be on the left, turn left onto Birds Creek rd. then make the next right onto highway 416 Pittman Center Road. Follow Pittman Center road for 1.5 miles, then make a left onto Richardson Cove Road. Follow the road right across the bridge and just keep on going we are only 3.5 miles from this point. Total drive should take about 20 minutes. 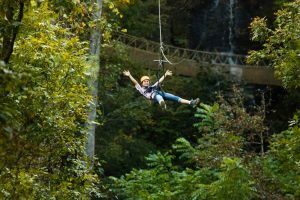 Planning a family vacation to the Smoky Mountains? Then look no further than Pigeon Forge, Tennessee! 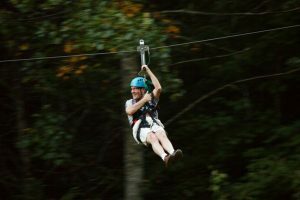 Pigeon Forge is home to a diverse set of activities and fun for everyone. 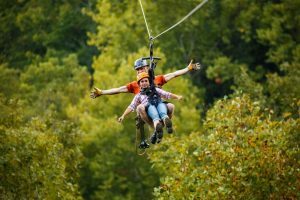 You’ll find some of the best places to eat like Big Daddy’s Pizzeria and Mellow Mushroom, some really great shows like The Grand Ole Opry and The Comedy Barn and of course, our very own amusement park, Dollywood. 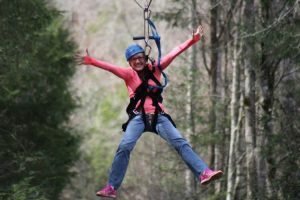 You’ll never be short on fun things to do in Pigeon Forge because the fun never ends! 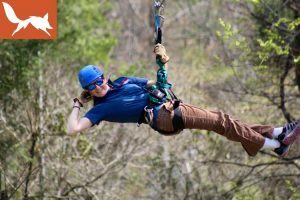 So, whether you are looking for fun activities or a great place to eat, Pigeon Forge is the place for you.